Triple Chocolate Cookies which are basically Double Dark Chocolate cookies dipped in Chocolate ganache. Can I hear a big Hallelujah! Have you eaten a Chocolate Cookie and went that’s disgusting? Not often right. It’s either “Not bad” WOW or “ I just died and went to heaven”. If I get caught for stealing cookies from the cookie jar, I would feel more satisfied with myself rather than remorse. These Double Chocolate Chip Cookies fall into the last category. 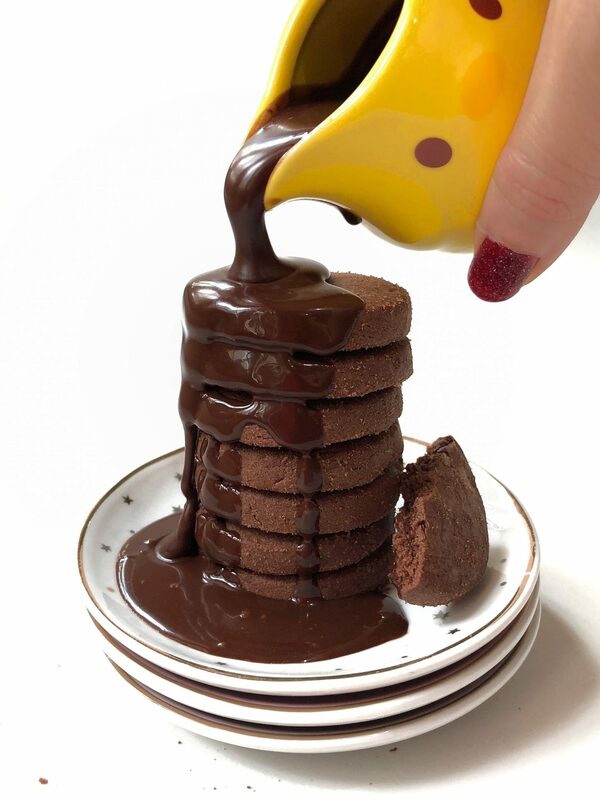 It’s made even better with the addition of the Chocolate sauce over it. 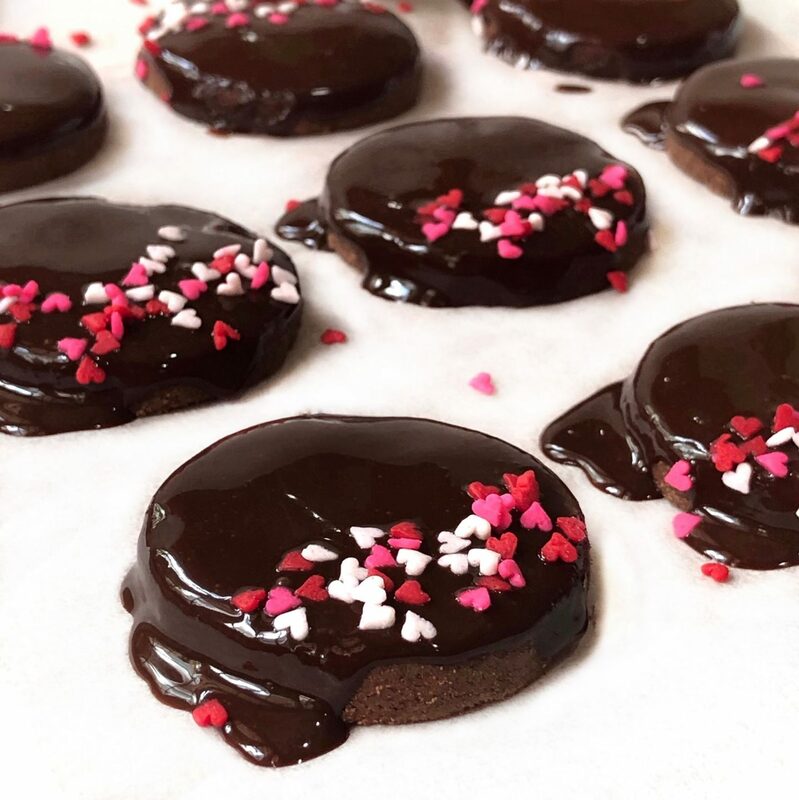 These Chocolate cookies are a dream for every chocolate lover. I remember when I was a kid, my parents took me to a club.. Erm not those dancing club but those facility clubs where you get to dine, swim, and do activities. I will always remember the warm piece of chocolate cookie that comes with this amazing hot chocolate fudge sauce. 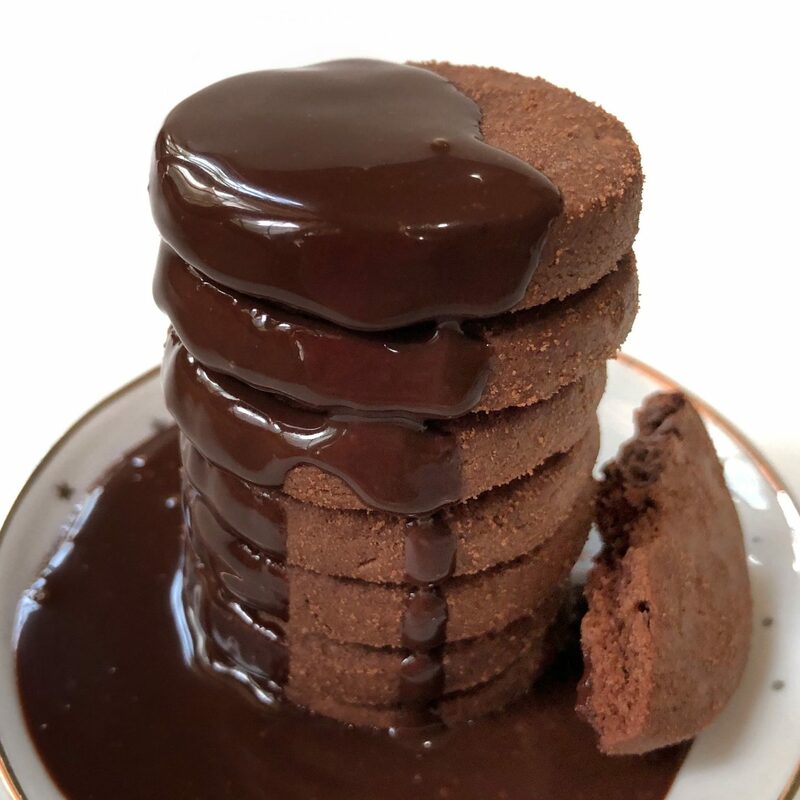 You can drizzle as much hot fudge over the cookie but me being greedy me, I just broke off parts of the cookie and dipped them into the sauce. I was a happy kid with Chocolate all over my mouth. This recipe is inspired by my childhood memories. It’s buttery and crumbly and best enjoyed with the extra chocolate over. 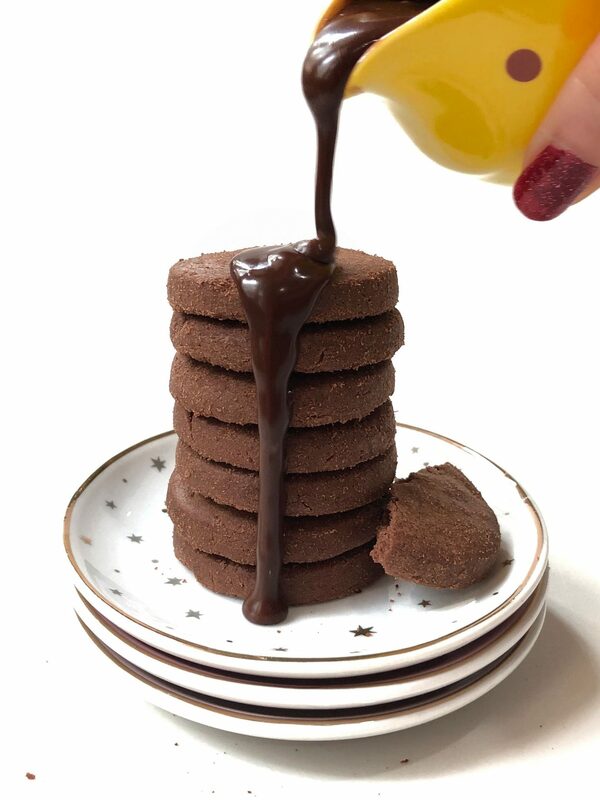 If you want an eggless version, these Double Chocolate Eggless Cookies are so rich and fudgy ( I swear you will fall in love instantly). If you want a healthier version, I have one made with Chocolate and Avocado. Simply called the Healthy Avocado Chunk Chocolate Cookie. Addition of Avocado makes the cookie so moist and gooey in the middle. Oh mama! Anyway, if you’re eating this cookie, just remember to have a glass of talk milk incase that Chocolate gets a little intense for you. Must I emphasize that cookies and milk go very well together? Do feel free to tag me on instagram @Sherbakes or comment below if you have tried the recipe 🙂 Happy Baking! Using an electric Mixer, beat together the butter and sugar until smooth. Line cookie tray with non stick baking paper. Once dough is chilled, roll dough between 2 plastic wrap until about 1/2 inch thick. Using a heart-shaped cutter, cut out as many hearts as possible. Transfer them to the prepared cookie trays and bake for 20-23 mins until cookies are golden. In a heatproof bowl, melt chocolate in the microwave in 20-second intervals, stirring in between. 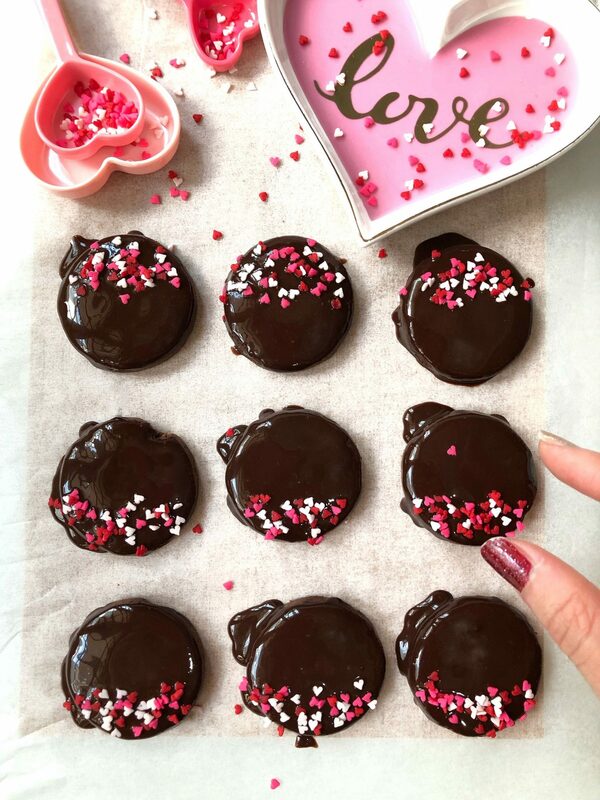 Dip the top of each heart cookie in melted chocolate, letting the excess drip back into the bowl. Place on top of non stick baking sheets, and sprinkle the top with heart sprinkles or rainbow ( Anything you fancy). 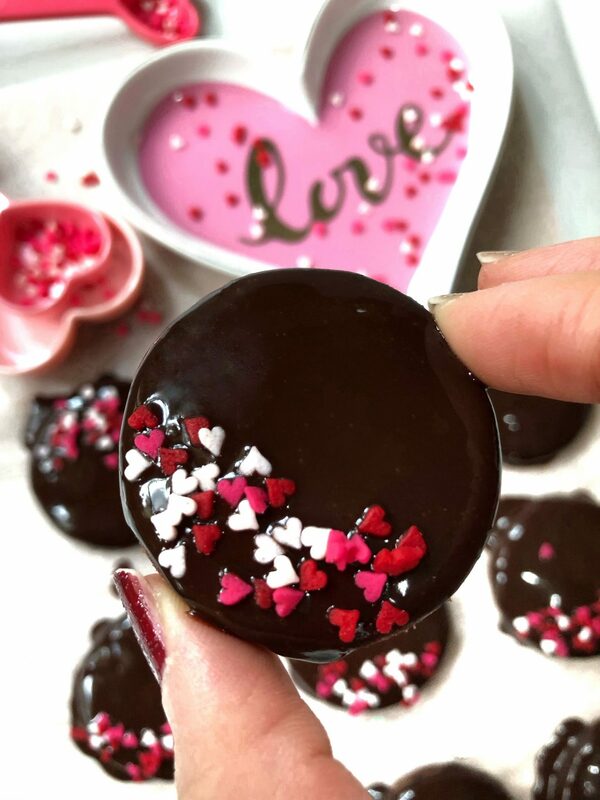 Let cool until chocolate is set, then store in an airtight container.